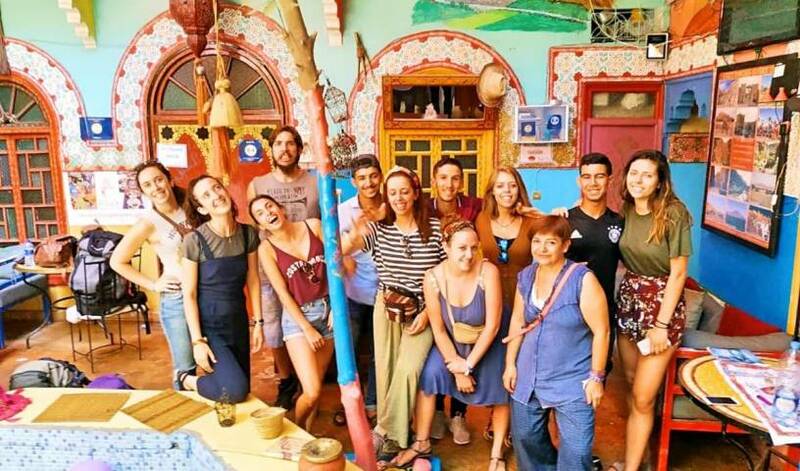 Hostel Kif-Kif provides comfortable, budget-dorm accommodation for happy, positive backpackers looking to connect, learn and enjoy the diversity of Morocco beyond the usual tourist paths. 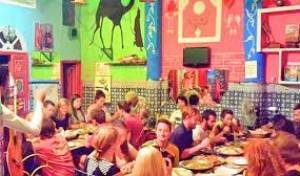 Rainbow Marrakech is a 1 minute walk from the famous Place D'Jeema el Fna. Stay at colourful dorm-only budget accommodation with a large terrace to chill, drink tea or do some yoga. HOSCARS Winner 2014 - Best Hostel in Africa. The Riad Rahba is uniquely and convieniently situated in the centre of the Souks in the heart of the Marrakech Medina. Dar Achain is a small & comfortable guest house in a serene mountain setting in the Toubkal National Park it's owned by a Berber family living for several years on the heart of the high atlas Mountains of Morocco. Riad Dar Iaazane is an authentic moroccan house, located in the center of the Medina in Marrakech. Tous nos chambres sont climatisées, avec salle de douche, et bien aménagé pour assuré votre confort. Nari-Nari Marrakech; a luxury hippie haven next to Place D'Jeema el Fna. Not just a hostel but a learning centre - whether you want to learn about Moroccan Cuisine, have an arabic or french lesson, or just relax with a glass of tea - come and stay! Tamatert guest house is lovley guest house runed by a berber family in the atlas mountains. The Riad jddi's uniquely and convieniently situated in the centre of the Souks in the heart of the Marrakech Medina. In the guest house, The owners warmly receive you in this small riad which witnesses the reputation of Morocco. 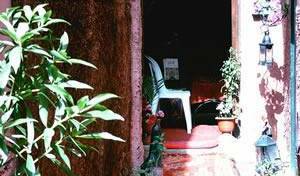 Daratif Guesthouse is located in the heart of the Valley Ourika area of Marrakech. Unique Location ! 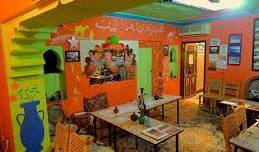 Located in the Boulevard Prince Rachid, only a few meters from the famous Jamaa El Fna square and its lively souks, this small hotel offers authenticity and sobriety. Family Hotel, Calm, Clean, Comfortable in the heart of Marrakech, traditional architecture. "An Eco-friendly 21st Century Guest House with jaw-dropping views, warm and welcoming staff and the most comfortable beds for miles around!" riad doha is an authentic riad in the medina of marrakech, at 2 minutes from the jemma el fna place. Dar Salama is located in the heart of the Medina, in the district of Derb Dabachi... Dar Salama, within 10 minutes to the Jeema El-Fna Square and close to the beautiful mosque Bin Saleh, this guest house welcomes you during your stay in Marrakech. 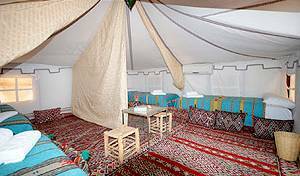 A newly restorted riad in the heart of médina of Marrakech. Located 20 minutes from the airport, Riad Nerja is very easy to reach in the medina of Marrakech, nearby Bab Aouda Essaadia, 30 m only from a car park. 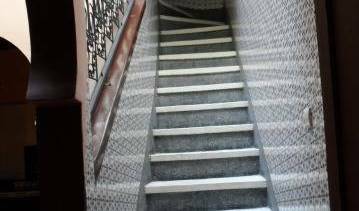 In the heart of the Marrakech médina, at the 10' by walk from the Jaama el Fna square and the souks, in a quiete area a very nice riad in arabo-andalous style. Authentique maison d’hôtes de 8 chambres située dans l'un des meilleurs quartier de la médina de Marrakech à 12 minutes de la Place Jemaa el Fna et de sa mosquée la Koutoubia . The 2-star equivalent riad lies in the heart of the Medina, within a stone’s throw of Jamaa El Fna square. Romantic traditionnel and contempory riad restored by the owners Marie, painting artist and Virginie, her daughter, architect. Très beau Riad avec piscine à proximité des jardins d AGDAL composé de 7 chambres, elles sont toutes équipées de tous les moyens de confort. riad SYBA vous réserve un accueil chaleureux. Riad Massin is a magnificent 19th-century Riad, it stands alongside the ramparts (historical wall surrounding Medina) of Marrakech. Marrakech has in its Médina's center, in one of the oldest districts, with 5mn of the famous place Jemaa El Fna, RIAD CHRISTINA. .
A 3 minutes à pied de La fameuse place Jamaa El Fna, Le Riad Batoul vous offre le meilleur rapport qualité/prix. 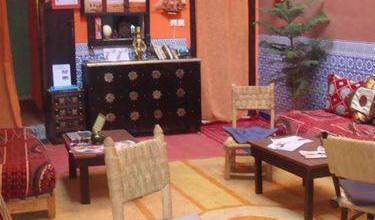 Ideally located , Riad Alamanda is about 5mn from the famous Jemaa El Fna Square with an easy walking access, Catherine and her staff will fully make you enjoy a comfortable and well peaceful stay in the Riad in the heart of the Medina. In Marrakech, a place where anything is possible, Riad El Dar brings authenticity and comfort. Not far from the famous restaurant Dar Moha, our Guest House is located in a secure and an accessible neighborhood. Riad Aquarelle welcomes you in a typical Marrakech guesthouse situated in the heart of a very old quarter of Marrakesh Medina, Riad Larrousse, only at 5 minutes’ walk from The famous and magic Place Djemma el Fnaa and 02 steps from the Souks. Luxury Riad of 12 rooms located in the heart of the souks of Marrakech, just a few minutes walking distance from taxis and 10 minutes from the famous main square jeema El Fna. 2 indoor-pools, 3 terraces. 15 beds accommodating (double, single, triple, dorm for male or female and family rooms) all Private. In the heart of the red city of Marrakech, hidden away in a picturesque part of the Medina called Bab Doukhala, This old dwelling, situated at the end of a small street away from the hustle and bustle. In the shade of the ancient city walls, in the heart of the Medina (the old city), and within a 200 meters walk from square of jamaa el-fna (world heritage by UNESCO), this ancient house keeps all the elegance and the charm of this time. 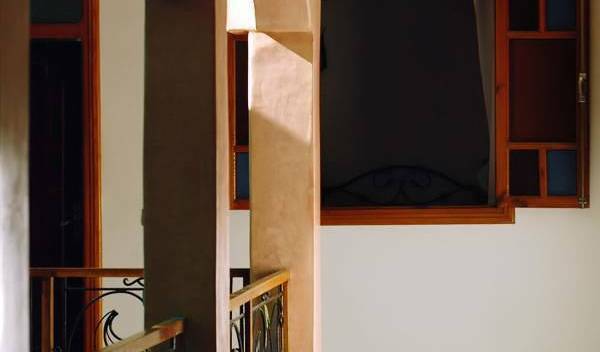 Riad Caesar is an oasis of peace, tranquillity, comfort and absolute splendour. Formerly the residence of a sultan in the 19th century, it has now been completely renovated, while maintaining its lavishly hand-painted doors and old stuccos. RIAD ZINEB is an historical house, belonging since centuries to a rich family, who was producing candles for the city. Riad Abbassia is a luxurious traditional house built in the middle of the 19th century located in the medina of Marrakech. Completely restored in 2001 with the precious help and know-how of the local artisans. The hotel was built in 2005 and its architectural design is based on that of a Southern Kasbah. Magnifique riad avec piscine, trois patios, terrasses solarium, vue panoramique sur toute la Médina, Koutoubia, Atlas, à 2 minutes à pieds de la célèbre place Jemâ El Fna, dans un quartier calme avec gardiennage. Authenticité et sobriété sont au rendez-vous dans notre palais ghiat . Vous trouverez haut de gamme et un accueil personnalisé. Riad Asna: a mervelious guesthouse inside the medina (old town) of Marrakech. Riad Dari is a four Suites boutique-riad situated in the charming Medina of Marrakech, in front of Dar el Bacha Palace. Riad Amira Victoria is a traditional Moroccan house, located in the Medina (old city) of Marrakech close to the famous Djemaa el Fna Square and the Souks (local market). Beautifully restored riad in Marrakech medina (old city) combining the modernity of minimalism with the beauty of Moroccan craftsmanship. A set of three patios, one of the patios offers a pool with a beautiful fountain which throws into it. The other patios accommodate 15 rooms made by love and passion. Beautiful Riad in Marrakech, 100 sq meters from Jamma el Fna 's square in the heart of the old town . Our riad is private house that reflects tradition, elegance, and authenticity. Located directly on the Djemaa El Fna square, the Djemaa el fna Hotel Cecil combines comfortable, modern rooms with the convienience of one of the most sought after locations in Marrakech. 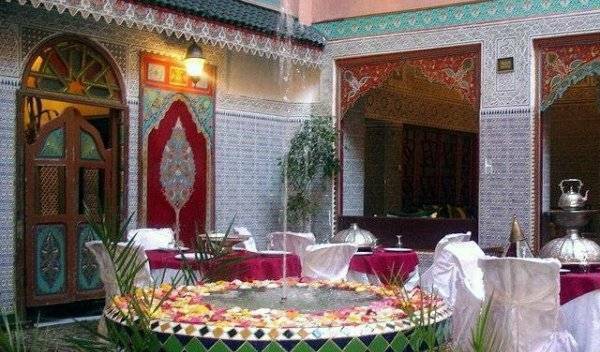 Riad Sheherazade is a mecca of Sidi Mimoun neighborhood, close to the famous Jemaa El Fna, Kasbah district and Saadian tombs and two Royal Palace of His Majesty Hassan II and His Majesty Mohamed VI. Riad "DAR Elghali, 128 Derb Zamouri, Bab Doukkala, Marrakech, Morocco" is at the heart of the medina and 15 minutes from the Jamaa Elfna with direct access by car in an authentic and lively district of the Medina of Marrakech. Villa Vanille is a guest house situated in the palm grove of Marrakech. A beautifully restored guest house in 2010 by Master Craftsmen hidden in Marrakech's medina, keenly priced and very chilled! Riad Adriana is a charming guest house located in the romantic medina of Marrakech, near the Bab Doukkala mosque, it lives on today as a prestigious Riad with 8 rooms and suites.